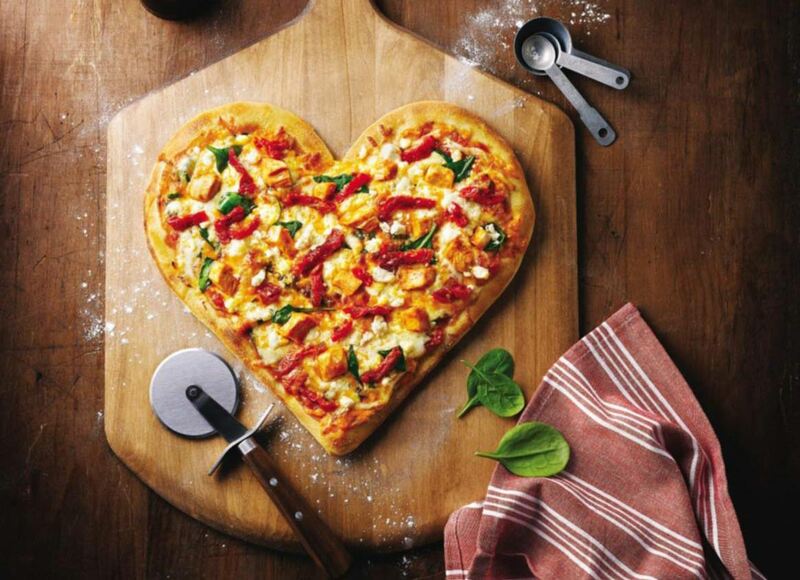 Don’t feel like fighting the crowds, but instead cooking a romantic Valentine‘s meal for your sweetheart? Getting the meal just right can be stressful, leaving plenty of room for mistakes. 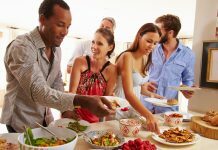 Don’t let food illness make the occasion memorable for the wrong reasons – follow basic food safety principles and procedures. Most people don’t think about food safety until they or someone they know gets sick after eating contaminated food, leaving leftovers out for too long, or not properly clean cooking and serving surfaces – all of which can lead to food illness. Food illness, also called foodborne illness or food poisoning, is an infection or irritation of the gastrointestinal (GI) tract caused by food or beverages that contain harmful bacteria, parasites, viruses, or chemicals. Norovirus – the most common cause of acute gastroenteritis (diarrhea and vomiting illness). Noroviruses cause 19 – 21 million cases of acute gastroenteritis in the U.S. per year, according to the CDC. The virus is highly contagious and commonly spread through food or water that is contaminated during preparation or contaminated surfaces. You can also be infected through close contact with an infected person. Salmonella – a bacterium found in many foods, including raw and undercooked meat, poultry, dairy products, and seafood. Salmonella may also be present on egg shells and inside eggs. Escherichia coli (E. coli) – which includes several different strains, only a few of which cause illness in humans. E. coli O157:H7 is the strain that causes the most severe illness. 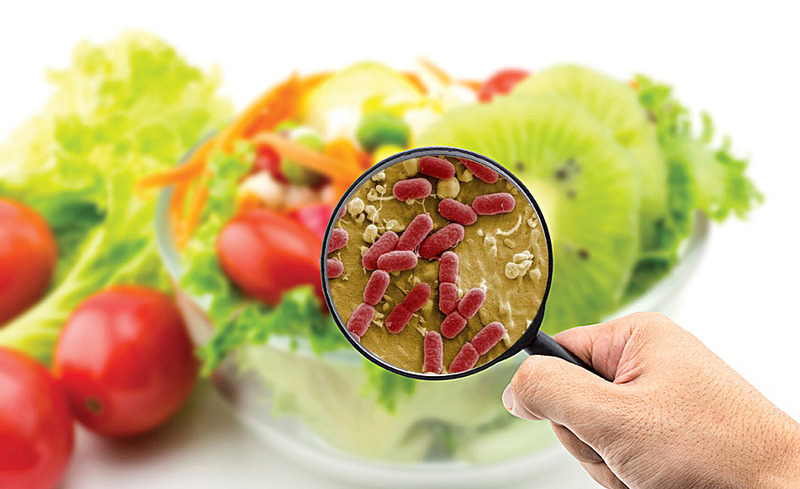 Common sources of E. coli include raw or undercooked hamburger, unpasteurized fruit juices and milk, and fresh produce. Campylobacter – found in raw or undercooked chicken and unpasteurized milk. Listeria monocytogenes (L. monocytogenes) – which has been found in raw and undercooked meats, unpasteurized milk, soft cheeses, and ready-to-eat deli meats and hot dogs. Vibrio – a bacterium that may contaminate fish or shellfish. Clostridium botulinum (C. botulinum) – a bacterium that may contaminate improperly canned foods and smoked and salted fish. Do you know what happens when perishable foods are left at (40°F – 140°F) for more than 2 hours? Bacteria like Salmonella, E.coli, and Campylobacter can double in number in as little as 20 minutes! 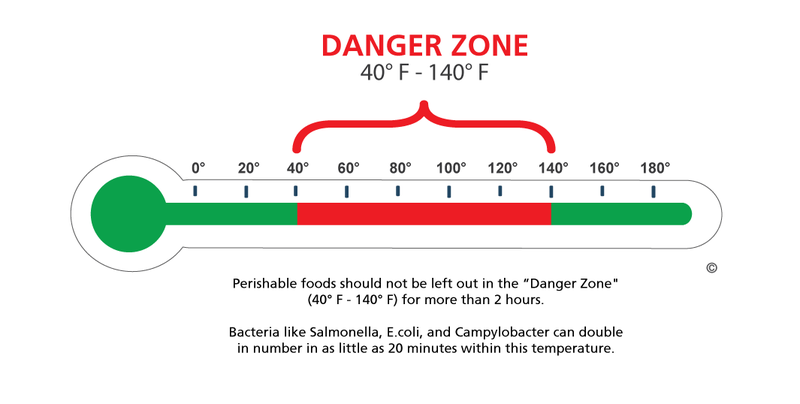 The temperature range in which foodborne bacteria can grow is known as the “Danger Zone”. One of the critical factors in controlling bacteria in food is controlling temperature. Pathogenic microorganisms (pathogens) grow very slowly at temperatures below 40°F, multiply rapidly between 40°F and 140°F, and are destroyed at temperatures above 140°F. Foodborne bacteria, in large enough numbers, may cause food poisoning, symptoms similar to gastroenteritis or “stomach flu”. Refrigerate or freeze perishable foods within two hours since purchase or preparation;. It is very important to understand what, why, and how foods can make you sick, but more importantly, the food safe principles and procedures to prevent foodborne illnesses.